Pro Slammer rookie Paul Mouhayet has assumed the lead in the 400 Thunder Championship on the back of consecutive runner up finishes in Darwin and Sydney. The Moits team driver fell to American Frankie Taylor in the final of the ACDelco East Coast Thunder, but with the absence of Darwin Winner Gary Phillips, Mouhayet takes a 26 point lead over John Zappia. Intriguingly, Mouhayet has a 2-0 win record against Zappia in head to head matchups, one of the few drivers to have a winning record against the most dominant racer for the last decade. Current Champion Mark Belleri bounced back from a tough weekend in Darwin to record semi-final finish at his major sponsors event, and get his championship aspirations back on track. Damien Harris, Top Fuel Points Leader. Top Fuel is all Rapisarda Autosport International following a 1-2 finish last weekend in Sydney. 2015-16 Champion Damien Harris holds a 14 point advantage over his teammate Wayne Newby, with top speed points falling to Peter Xiberras in third. 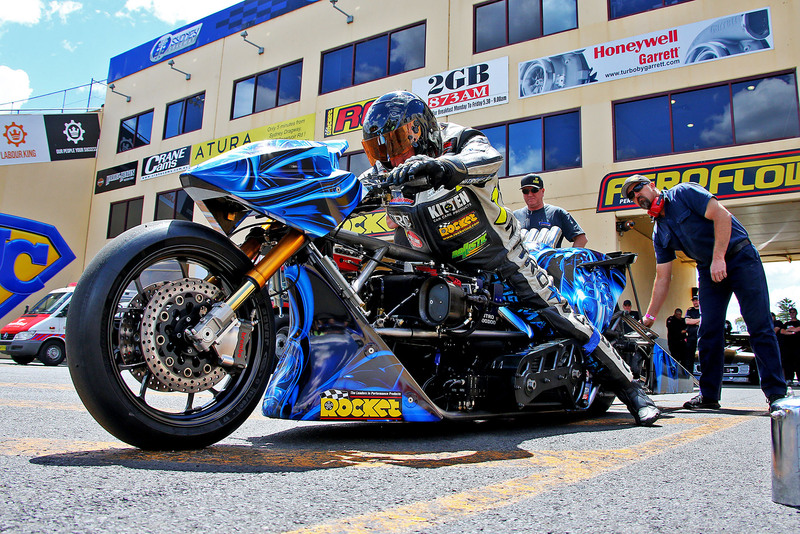 Pro Alcohol saw a perfect weekend for Queensland’s Steve Reed, with the veteran taking the event win, top qualifying, quickest elapsed time and top speed of the weekend in a flawless performance. He holds a 31 point lead over Russell Mills from NSW. The ACDelco East Coast Thunder was the perfect platform for Aaron Tremayne to launch his bid for back-to-back 400 Thunder Championships taking the maximum 118 points away from the weekend. Jason Hedges had a wounded engine but still took the runner up position and trails Tremayne by 31 points. Chris Matheson assumed the lead in the Top Bike Championship despite not winning either of the two rounds held so far this season. Chris Porter moved into second on the Harley, 21 points behind Matheson and Darwin winner Mark Drew falls to third. Pro Bike is the closest of all the 400 Thunder Professional categories with only 9 points separating the top two riders in the title chase. Reigning Champ Brad Lemberg took the victory at the ACDelco East Coast Thunder, but with Corey Buttigieg from Victoria taking quickest elapsed time and top speed points the defeciet is less than half a round of racing. 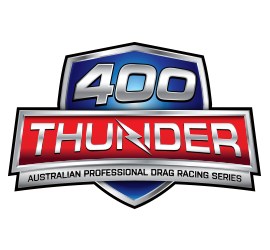 The 400 Thunder Professional Drag Racing Series now moves to Willowbank Raceway in Queensland for the New Years Thunder on 6th January 2018, featuring Top Fuel, Pro Slammer, Pro Stock and Pro Bike.